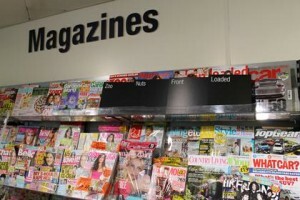 Zoo and Nuts magazines are to boycott the Co-operative Group over the Manchester-based retailer's demand for lads' magazines to cover up explicit pictures on their front covers. Last week the Co-op gave all lads' mag publishers a deadline of September 9 to introduce so-called modesty bags. And after initially venting their anger at the ultimatum, IPC Inspire and Bauer have confirmed they have refused to abide by the Co-op's demand. Paul Williams, managing director of Nuts publisher IPC Inspire, said the magazine would now be pulled from the Co-op's 4,000 UK stores. He said: "Co-op's knee-jerk attempt to restrict access to a product that consumers have enjoyed for nearly a decade is wrong. "The objection that niche lobby groups have against certain sectors of the media should not mean that the right to purchase a perfectly legal product is restricted for the over half a million Nuts readers. Zoo publisher Bauer said it had already toned down its front covers and would continue with that policy. A spokesperson for The Co-operative said: "Our position has not changed, if Nuts, or any of the other publications, Zoo, Loaded and Front, do not put their titles into modesty bags by the date we've given of 9 September, we will no longer sell the magazines."